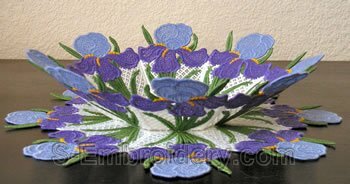 Another one of our floral freestanding lace bowl and doily sets. 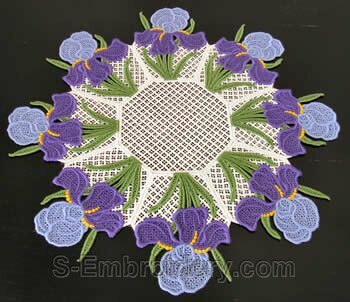 This set of machine embroidery designs consists of 1 freestanding lace bowl and 1 freestanding lace doily . 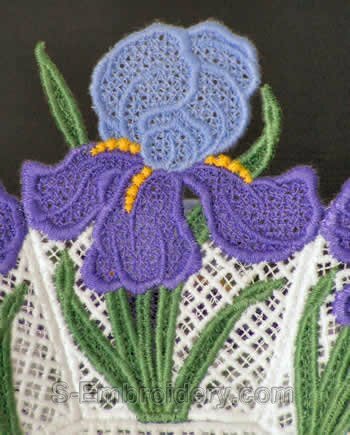 The embroidery designs in the set fit the 4 x 4 hoops. 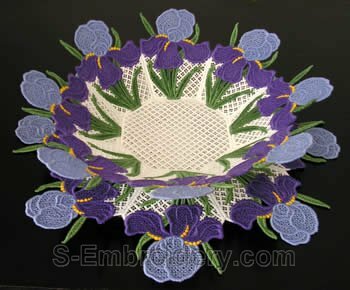 The bowl and the doily share the same bottom/center component. A friend has sent this sight to me, I had never heard of your sight before. I fell in love with the doilys and bowls and have looked for the unique. I have found it in your sight.